After a decade of being everyone’s favorite laughingstock except when it comes to sitcoms, NBC is officially no longer terrible. Variety reports that the network will finish out the season in first place among adults 18 to 49—the first time it’s beaten all of its rivals since 2003-2004, when the final season of Friends so captivated America in disbelief that it was still on. 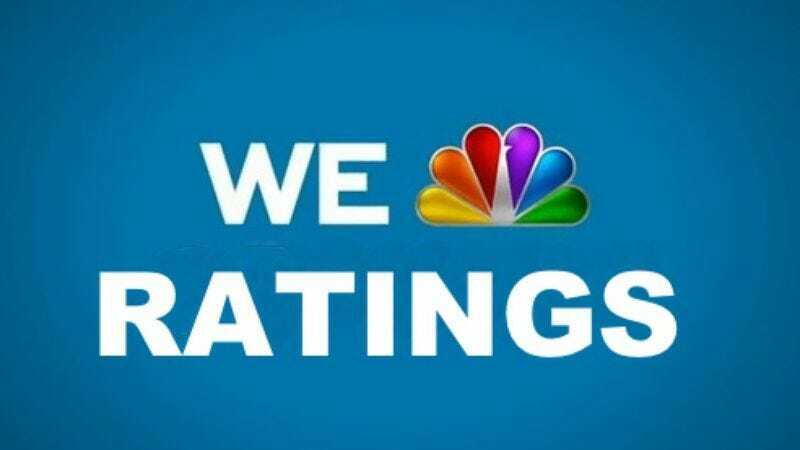 As the article notes, NBC’s success can probably be attributed to several factors, chief among them the slides of ABC, CBS, and Fox to their lowest-ever season averages, thanks to the increased competition from cable and the now-smoking craters that used to be their programming slates. Nevertheless, the King of the Losers is still a king. It can also be credited to NBC’s top three series—Sunday Night Football, The Voice, and The Blacklist—which fed off America’s obsessions with sports, singing competitions, and James Spader acting smug to land in the top five most popular shows. And bolstered by special events such as the Olympics and its live Sound Of Music, NBC experimented with asking people to watch television as it is broadcast, thus feeding into the current craze for all things “heritage” and authentic.